Lady Banks Yellow Rose (Rosa banksia)- Thornless climbing rose. 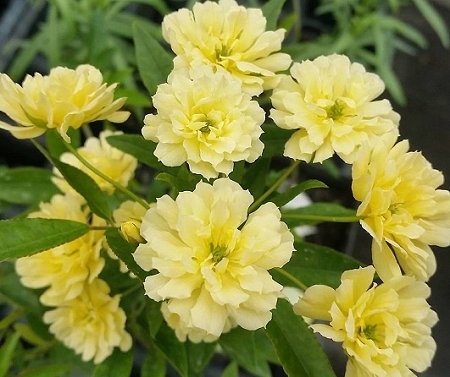 This old fashioned favorite will produce masses of small yellow blooms creating a beautiful display in the Spring. Excellent disease and drought resistance. Perennial zones 7-11. Live plant in 3 inch container.